mayhem and the intrigue begins! it will mean the end of their travels all together. Has the lottery winner’s luck run out? Will it be the bartender who has served his last drink? Is the honeymoon over for two lovebirds before it nearly began? Or will the stars collide for one Hollywood star? that plague this paradise in order to make a killer pay for their crime. than your long lost shaker of salt. For 15-20 guests: 7-8 males, 5-6 females, 3-6 gender-neutral. For 10-15 guests: 5-7 males, 4-5 females, 1-3 gender-neutral. ** There IS NOT an 8-12 guest version at this time, only an 8-10 guest version. ** This version is the same as Murder in Margaritaland, but is set on New Years Eve at the resort. The owner of the resort and the man to talk to when anything goes wrong. Jane is in charge of guest relations and will go to any extent to make sure that the guests remain happy and satisfied. With bar profits decreasing lately, Bindy is looking for someone to blame. Will Bindy be able to keep the bar in the black... and their job? Known as the Casanova of the pool bar, it is hard to say whether his philandering ways will get him promoted or in trouble. A gold-digger at heart, her aspirations might be a little ambitious for even her to achieve. Sam is supposed to be the safeguard of the resort, however, after his recent break-up with Kylie Cocktail, his actions have been doing more harm than good. The Who's Who on Who is Going to be in Margaritaland, as well as info on how to talk when you are there! ... and more! might come in handy during your Night of Mystery. 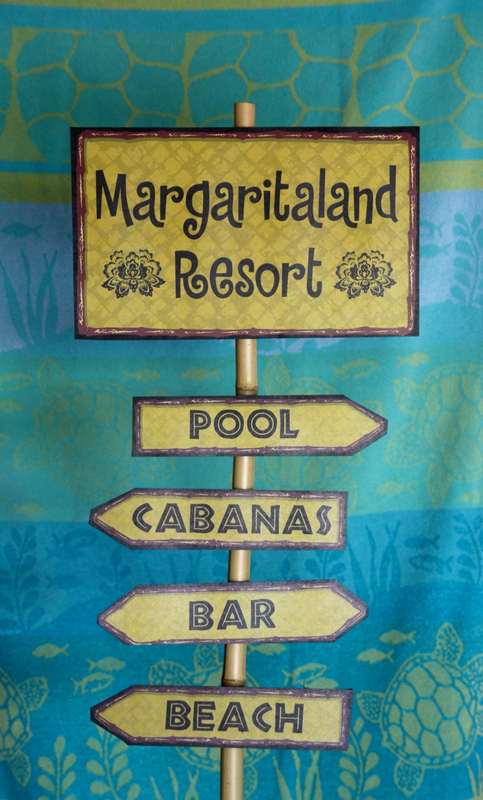 Click here to download a number of logos specially made for Margaritaland and their guests. Print out the artwork on temporary tattoo paper and you have yourself a tattoo party. 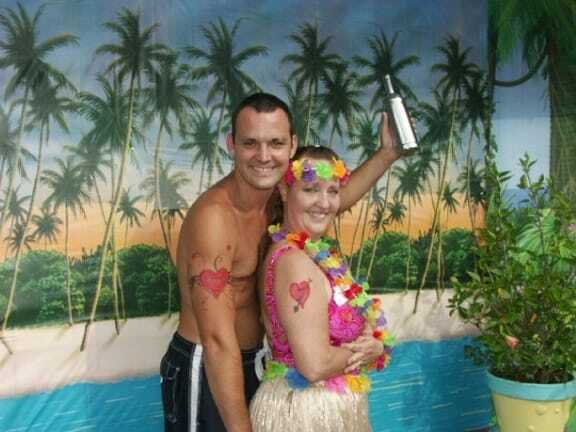 Coconut Joe—Owner of Margaritaland. The owner of the resort and the man to talk to when anything goes wrong. 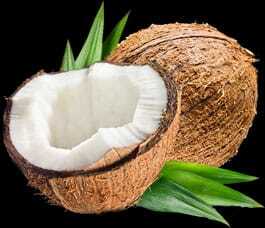 Coconut Jane—Wife to Coconut Joe. Jane is in charge of guest relations and will go to any extent to make sure that the guests remain happy and satisfied. Bindy Barkeep—Bar Manager. With bar sales decreasing lately, Bindy is looking for someone to blame. Will Bindy be able to keep the bar in the black… and their job? Jack Daniels — Bartender. Known as the Casanova of the pool bar, it is hard to say whether his philandering ways will get him promoted or in trouble. Kylie Cocktail—Cocktail Waitress. A gold-digger at heart, her aspirations might be a little ambitious for even her to achieve. 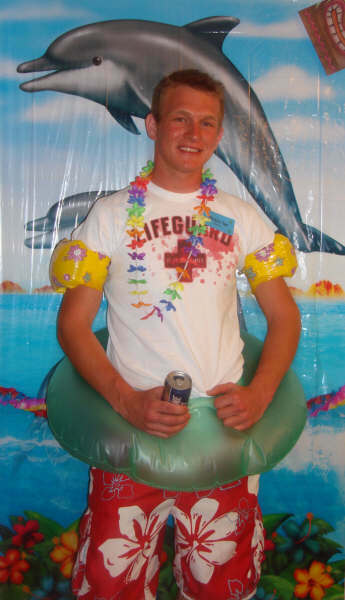 Lifesavin’ Sam—Lifeguard. Sam is supposed to be the safeguard of the resort, however, after his recent break-up with Kylie Cocktail, his actions have been doing more harm than good. Cabana Bob—Cabana Boy. 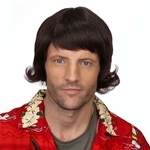 Ambitious and driven, Bob will do anything to advance his career and his love life. BJ Baggage—Bellhop. With hopes of promotion, this bellhop is willing to help out the guests and the staff for little price if it means advancement of their career. Tatum Tatt—Tattoo Artist. An artist and true talent. Another talent that they have is one of observation and Tatum has seen more than they are leading on. 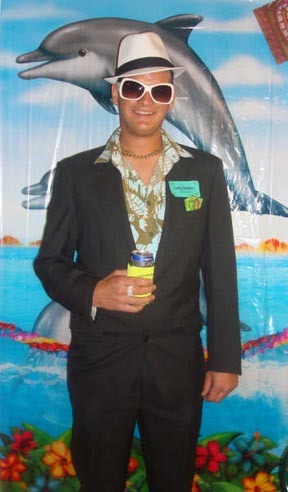 Thurston Howard III—Millionaire. A man of money and power, Thurston will let no one take what is his or make a fool of him. Candy Cotton—Millionaire’s girlfriend. As the vivacious and young girlfriend of Thurston Howard III, she will do anything to keep the adoration (and financial security) of her beau. Lucky Numbers—Lottery Winner. Lucky came here to celebrate his winnings and ended up falling in love with Izzie. Now, he doesn’t know how to get something he can’t buy. Starr Bright—Movie Star. Tired of the limelight and paparazzi, Starr is here to recuperate and rejuvenate far, far away from a daunting public. Agent Hollywood—Hollywood Agent. With Starr Bright’s sudden rise to fame, this agent has had to work overtime to keep their client happy and Starr’s career on the right track. ** Not all characters will be included with all mystery versions. ** Some names and descriptions may be slightly different, due to the version you order. Aloha shirts and Sunglasses required! This is one theme that is easy to dress for – choose something from your wardrobe or go over-the-top with additional accessories and props! Palm trees, sand and surf set the tone for a beachy vacation vibe! There is no limit to what you can do! 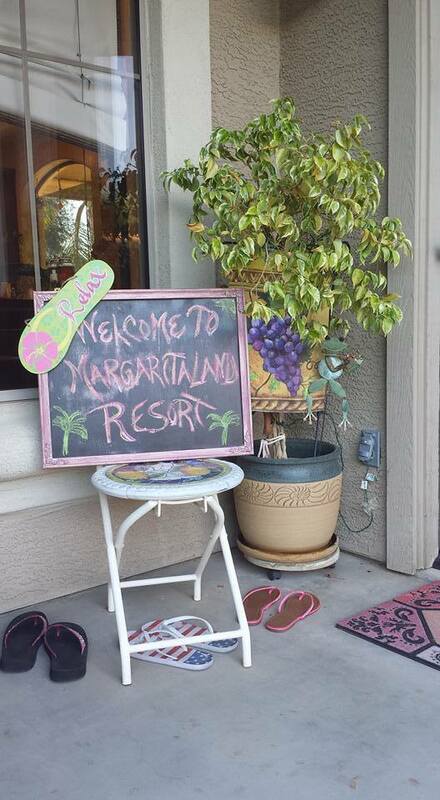 • Create a “Today in Margaritaland” sign with everything happening at your resort! 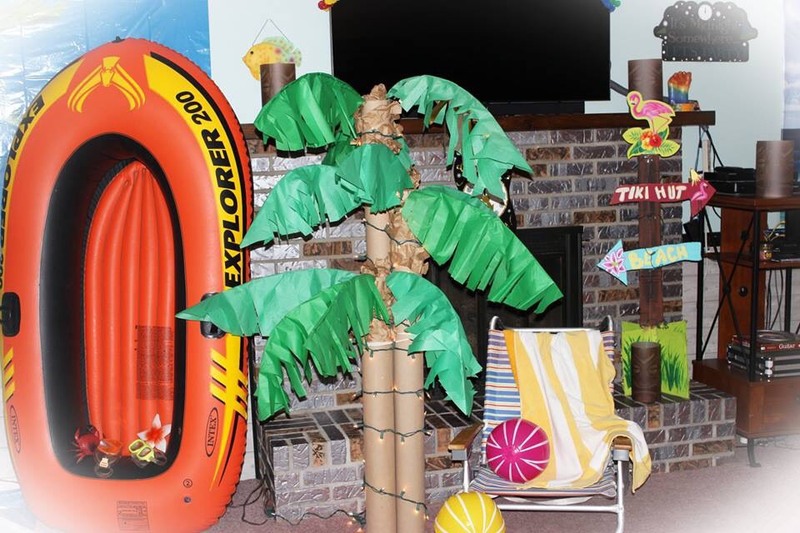 • Set the scene with a beach scene setter! These rolls of printed latex can transform a room instantly! 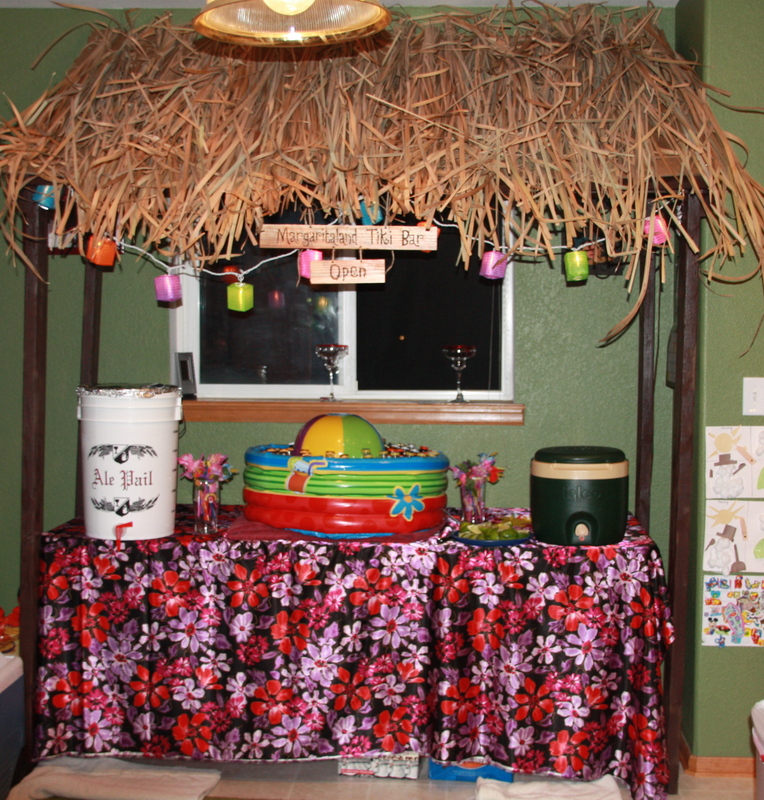 • Place sand, toy crabs and fish by the front door or around your party area. We found excellent ones here– affordable, high-quality and large. 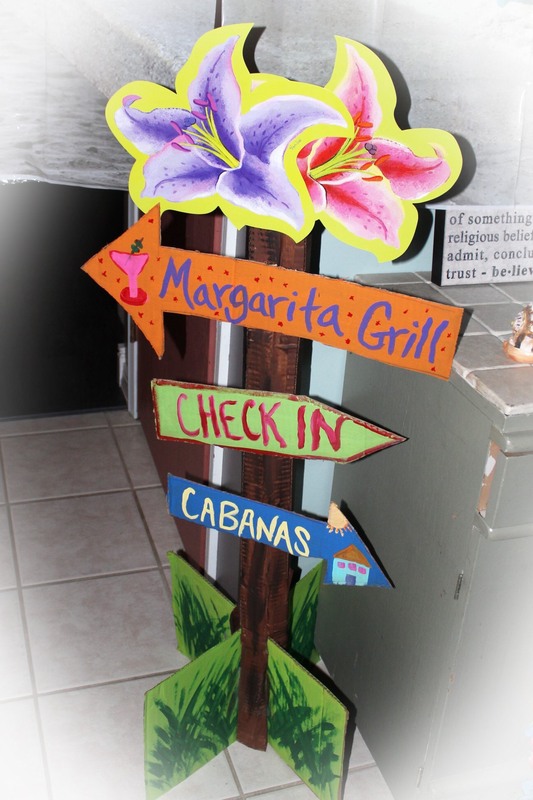 ADDED BONUS: The directional signs are editable so you can add in your own party spaces: tike bar, cabanas, beach pool, limbo area, etc.! • Hang garlands of homemade tissue flowers (tied along green ribbon). 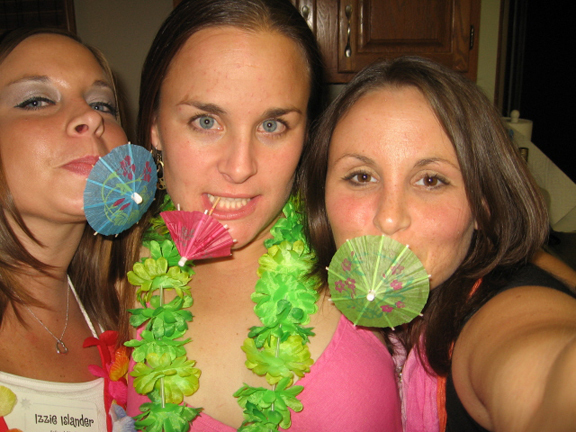 • Make your own lei garland by purchasing leis, cutting them and stringing them together. • Hang some paper lanterns for your party. 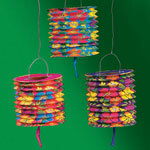 They are inexpensive, colorful and add to the ambiance. • Set out bright beach apparel, such as towels, beach bags and flip-flops. • Float plastic or fresh flowers in water, either small bowls or a pond or pool. 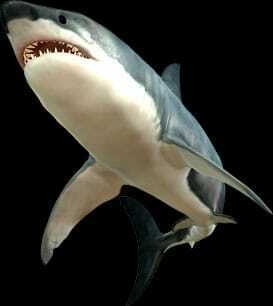 • Hang beach balls from the ceiling with fishing line. Litter the floor with beach balls as well. • Add some beach-like flavor by accessorizing your area with beach towels, beach balls and lawn chairs. • Don’t have a pool in your backyard? Use a child’s pool. • Don’t have a beach in your backyard? 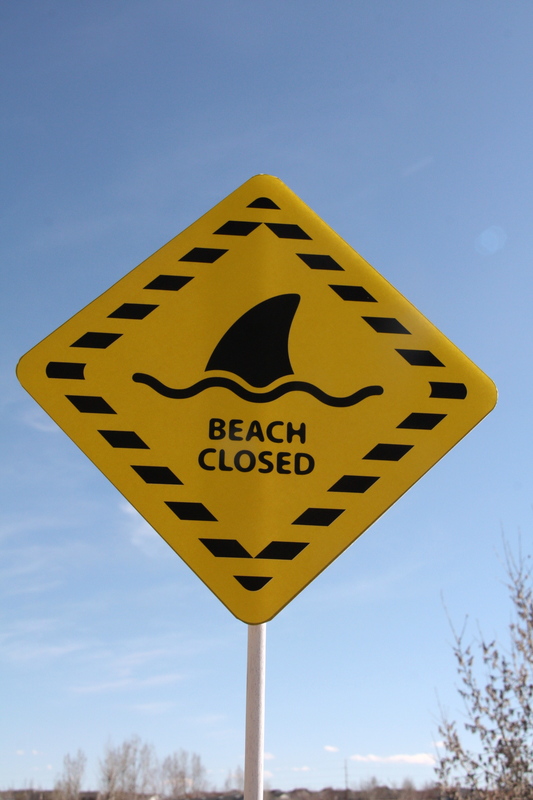 Make this fun “Beach Closed” sign – template and directions enclosed in mystery! 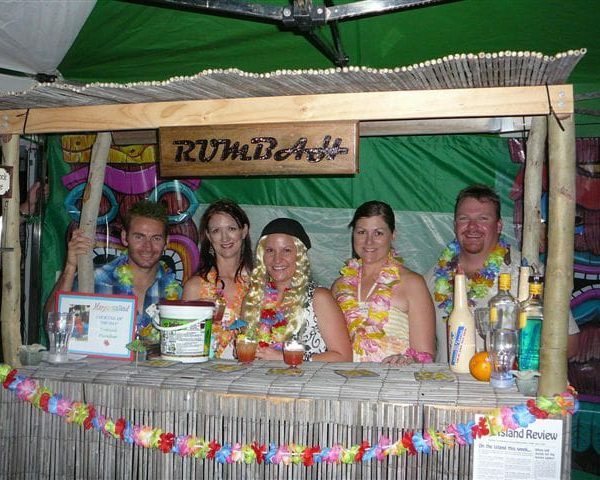 • Construct a tiki hut! Instructions included in the mystery! 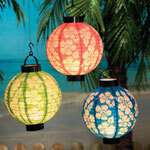 • Colorful paper lanterns can make the perfect decoration AND lighting! 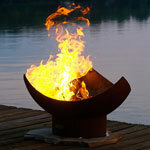 • If throwing a party outside, light a fire in a fire pit. • If throwing your party outside, consider having white twinkly lights so as the sun goes down, your ambience will light up! 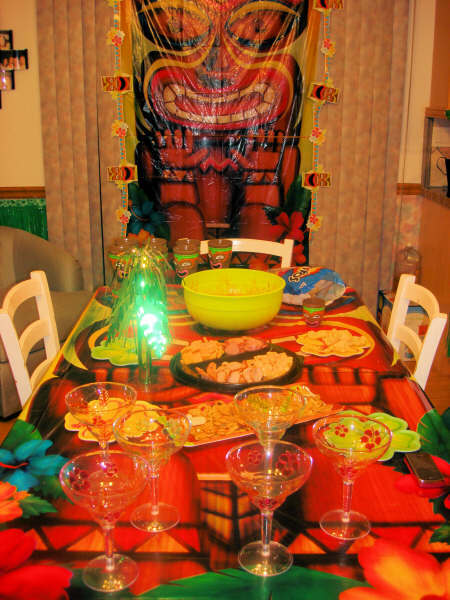 • Use beach towels as table cloths. 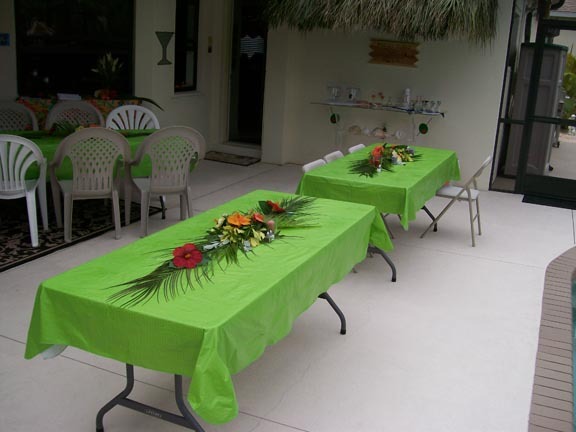 • Cover a table with green butcher paper and fray the edges to resemble a grass skirt. • Use colorful buckets and beach pails to serve your food. Include a plastic shovel for the scooping. 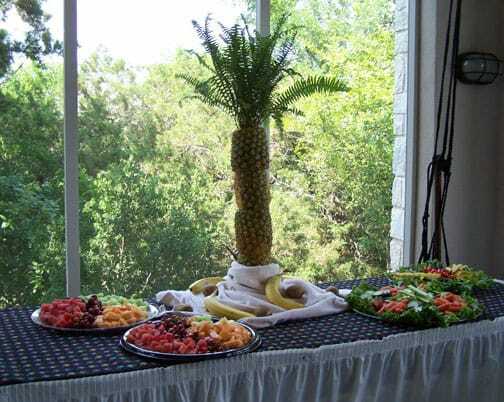 • Display fresh fruit over fresh or fake greenery such as palm fronds or calla lily leaves on the center of the table. 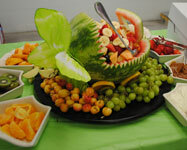 It will make an appealing and appetizing center display. 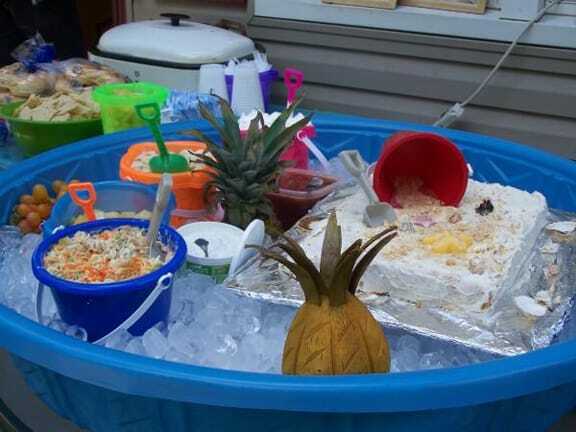 • Serve some of your munchies in sand pails, beach comber hats (lined with plastic wrap) or serve fresh fruit in a hollowed out pineapple or coconut shell. 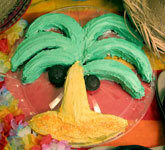 • Make a cake and decorate it with a beach pail, shovel and other plastic beach accessories. Crush up vanilla sandwich cookies to make the sand to make an appetizing centerpiece and decoration! 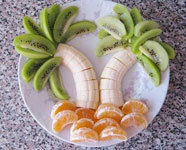 • Make the palm trees (how-to instructions included in the mystery) to use in your background. 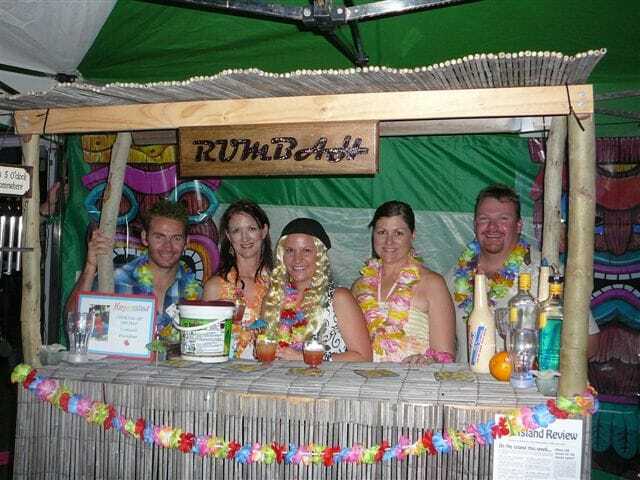 • Have everyone pose by your tiki bar! • Take some white banner paper and paint your own beachy background. 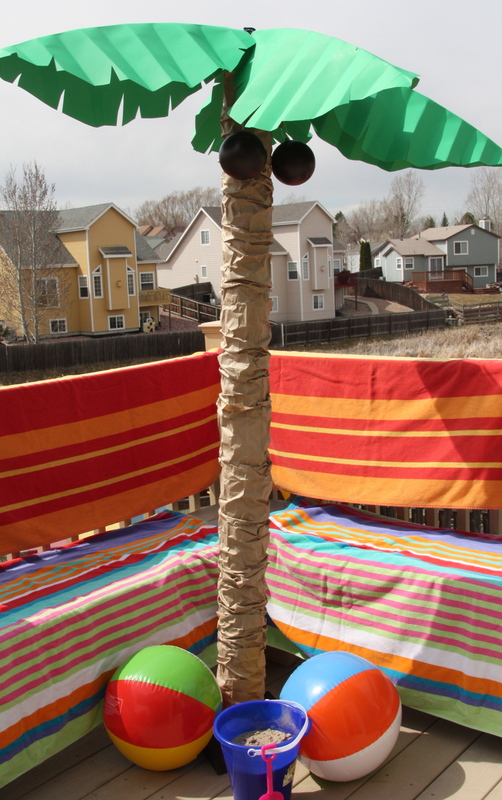 • Set out some lawn chairs, drape them with bright, beach towels, sand pails, beach balls, etc. • Create a police line-up background and take mug shots of each of your guests. 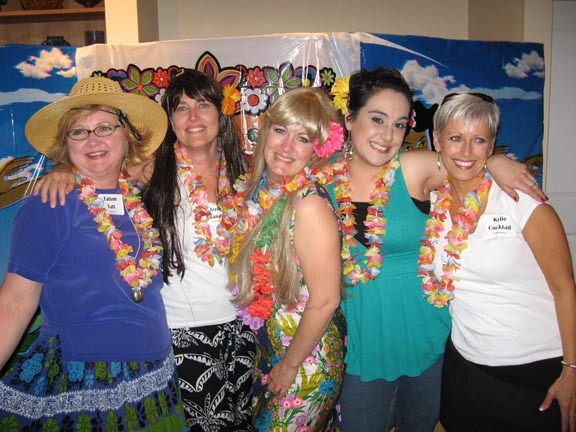 • Have additional props for posing in pictures (leis, beachcomber hats, sunglasses, feather boas, sun hats, wild wigs, hula skirts, coconut bras, etc.). 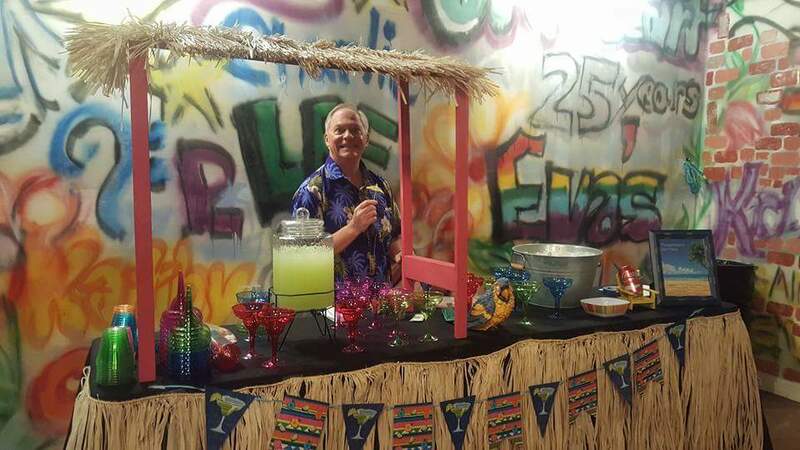 Tiki drinks and tropical fruits and flavors will help transport your guests to paradise of sand and surf. 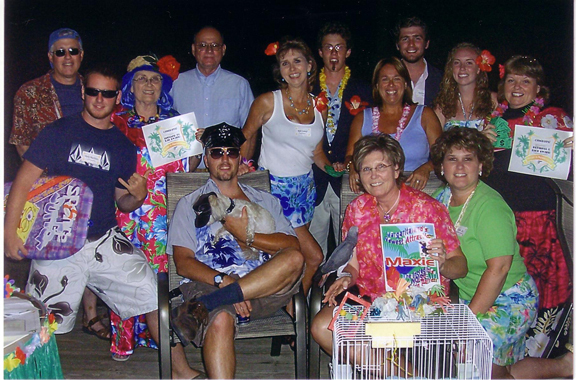 Luau Menu— Nothing says relax and enjoyment like a luau. Find all of the authentic foods by clicking here. Jamaican Jerk Chicken— Add a little seasoning of the Caribbean with some spicy jerk chicken. Roast a Pig!— Set the mood and provide some great food for your guests. Do it yourself or hire a local company to do it. Cheeseburgers in Paradise— Everyone will love this Jimmy Buffet inspired recipe. Tropical Chicken Kebabs— A taste of the tropics to add to your menu. Especially good on the bbq. FRUIT(! )makes the perfect food AND centerpiece. Think of all the creative ways to serve and display it! 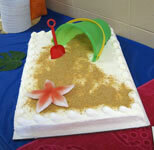 BEACHY CAKE: Make a cake and decorate it with a beach pail, shovel and other plastic beach accessories. Crush up vanilla sandwich cookies to make the sand to make an appetizing centerpiece and decoration! MARGARITA CUPCAKES: Use the recipe included in your mystery to make these delicious desserts! PALM TREE CAKE: Directions and template included in mystery packet! 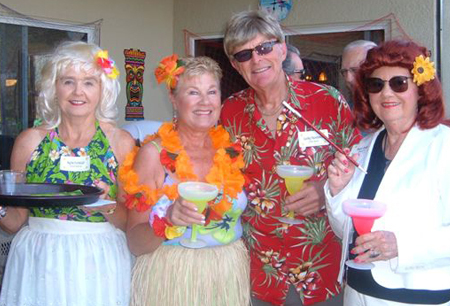 • Included in the mystery are drink menus for tropical cocktails and mocktails to serve your guests. 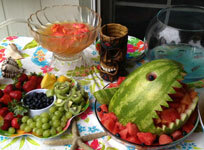 • Hauoli Island Punch— Spiked or not, this fruity concoction is tropically tasteful. • Rim your glasses to create a killer chiller (pictured below). Recipe and instructions included in the packet. • Don’t forget to make glass charms for your glasses – templates included in mystery! • Nothing is more colorful than jello-shots. Find everything you need to know(including recipes) here! 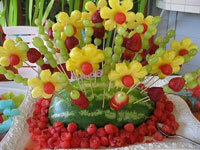 • Have fun and fruity garnishes for your drinks – limes, lemons, strawberries, oranges, pineapple, etc! 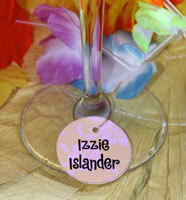 • Adorn your drink with a colorful umbrella or a flowered straw! 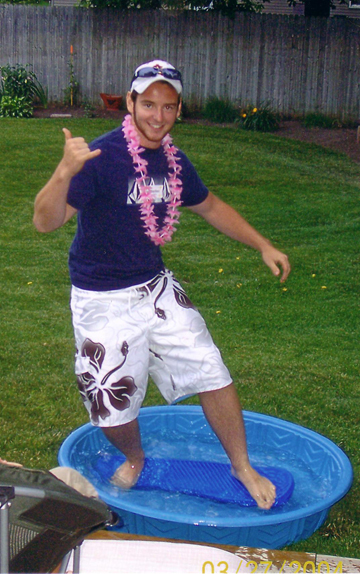 • Use a rubber raft or child’s wading pool to chill your beverages. Fill with ice and drinks. Set Up a Photo Spot! On top of having a totally unique party – here are some more suggestions based on the theme that you have chosen! 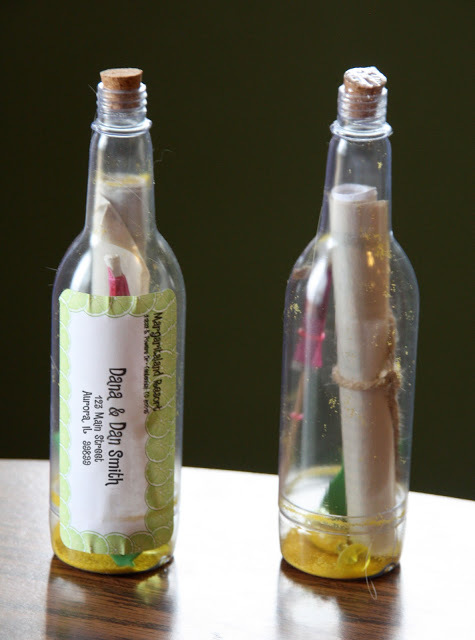 Why not invite your guests to the party by sending a message in a bottle? This will increase the excitement for the party before it even starts! (Included with the mystery packet are specially designed mailing labels for these invites!) You can find a link to the bottle invites here. 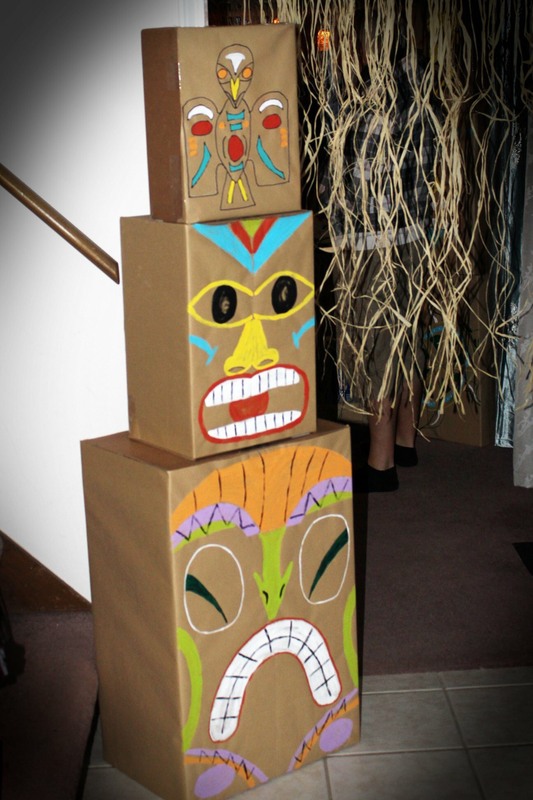 An inexpensive and fun way to really get your guests in the mood. 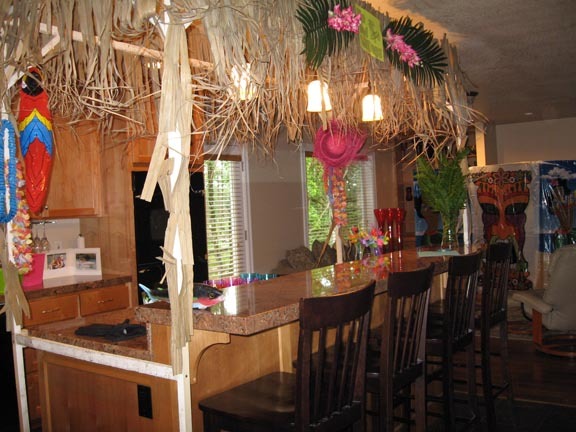 Simply have your guests receive a lei at the entrance. 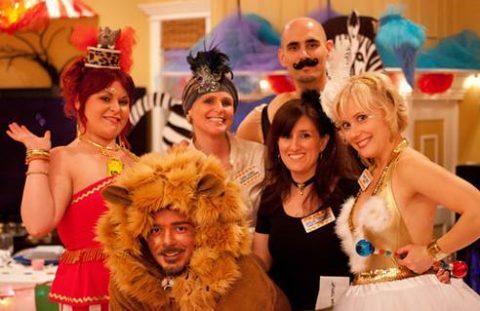 This will ensure everyone has a “costume” – even those who didn’t weren’t planning on it! 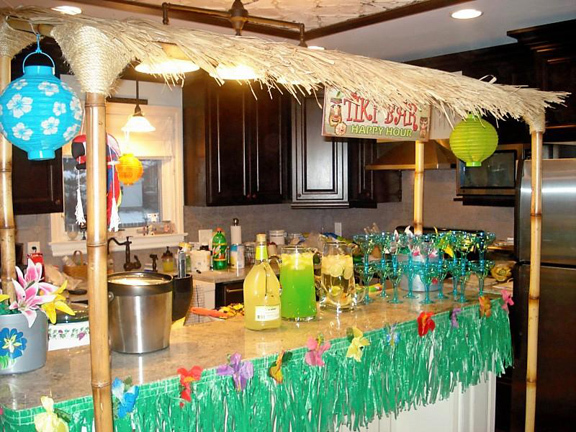 To keep the party going, you may want to have a limbo area. Break out your beach towels, lawn chairs, sand toys, and Hawaiian shirts. The simplest things that you have can quickly be turned into tablecloths, serving dishes, backdrops, and decorations! 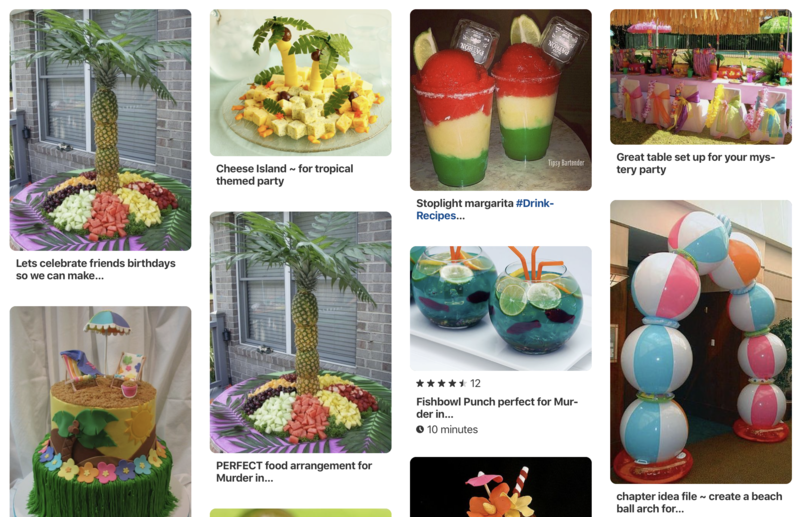 For even more party planning ideas, check out our Murder In Margaritaland Pinterest Board here. 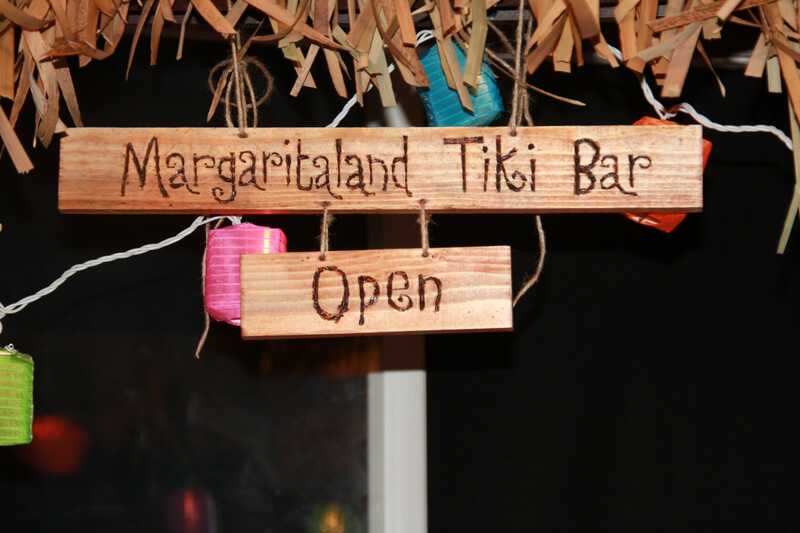 HOW TO MAKE YOUR OWN PALM TREES, TIKI HUT, BANNERS, TIKI BAR SIGN, AND MORE! 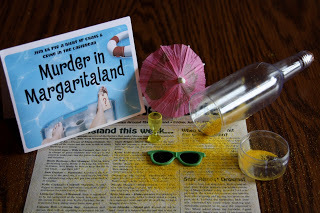 All of the information regarding how to run your Murder in Margaritaland party can be found online at Night of Mystery. 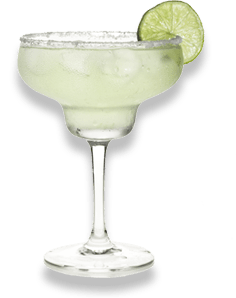 We highly suggest that you take time to look over our website and download the Murder in Margaritaland preview file. 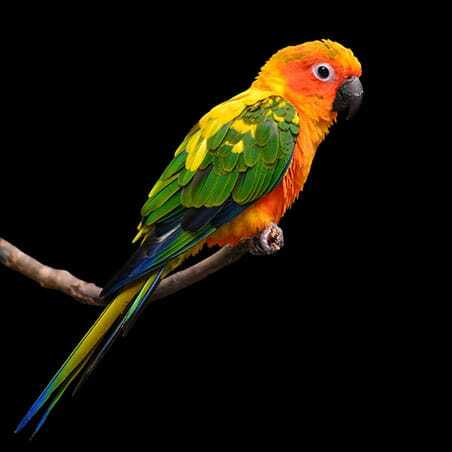 Upon reading the introduction file, it will give you a better understanding about how the parties are run and what to expect once you purchase a full mystery file. On top of having a totally unique party - here are some more suggestions based on the theme that you have chosen! 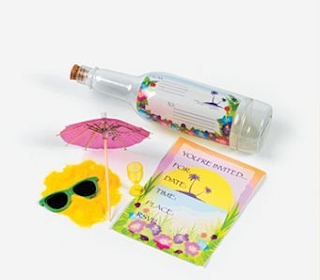 BOTTLE INVITES: Why not invite your guests to the party by sending a message in a bottle? This will increase the excitement for the party before it even starts! (Included with the mystery packet are specially designed mailing labels for these invites!) You can find a link to the bottle invites here. 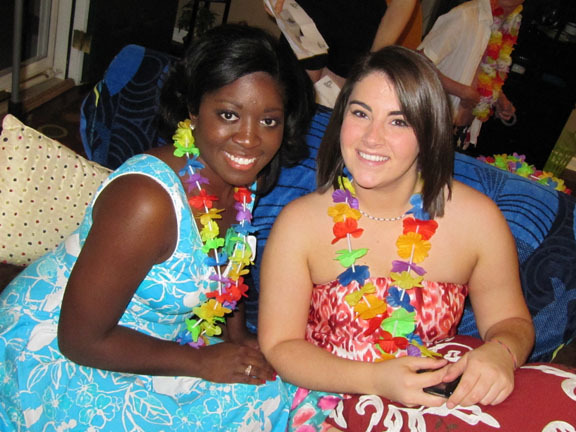 LEI'ING YOUR GUESTS:An inexpensive and fun way to really get your guests in the mood. 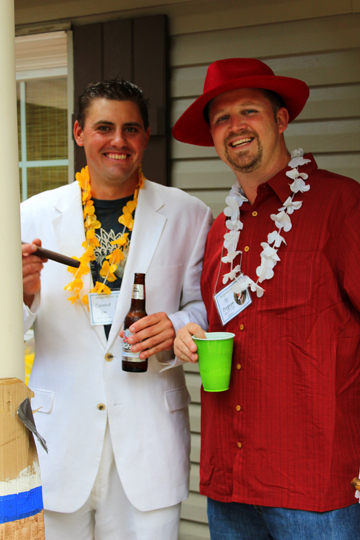 Simply have your guests receive a lei at the entrance. This will ensure everyone has a "costume" - even those who didn't weren't planning on it! LIMBO CONTEST: To keep the party going, you may want to have a limbo area. 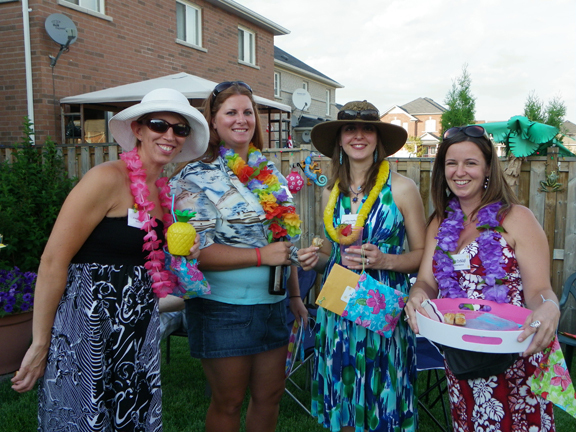 DON'T FORGET YOUR OWN SUMMER FAVORITES: Break out your beach towels, lawn chairs, sand toys and Hawaiian shirts. The simplest things that you have can quickly be turned into tablecloths, serving dishes, backdrops and decorations! 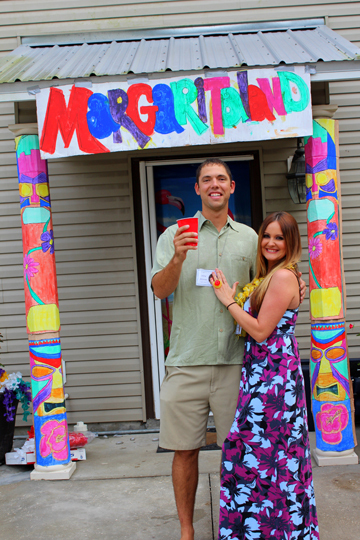 Check out our Murder in Margaritaland Pinterest Board! 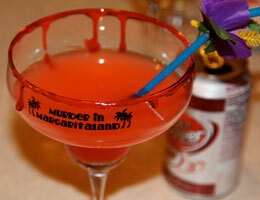 For even more party planning ideas, check out our Murder in Margaritaland Pinterest Board here. It is s filled with ideas for recipes, costumes, decorations, etc. 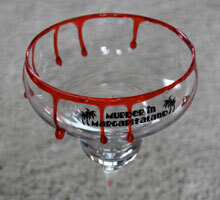 for the perfect Murder in Margaritaland party! 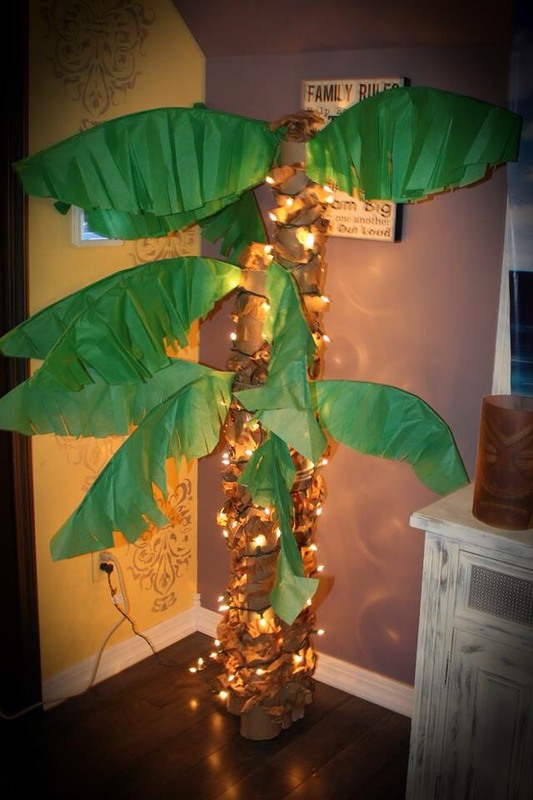 - HOW TO MAKE YOUR OWN PALM TREES, TIKI HUT, BANNERS, TIKI BAR SIGN! This is one of the easiest these to throw on the fly. 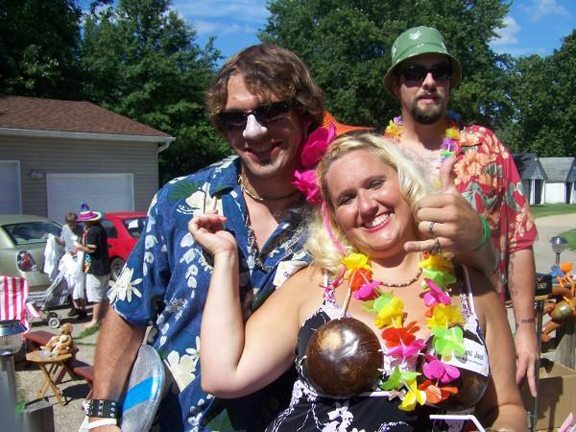 To help your guests 'get into character', have a box of leis, beachcomber hats, sunglasses, sombreros, grass skirts, coconut bras, Hawaiian shirts (picked up from second-hand store), etc. It is sure to be a hit! 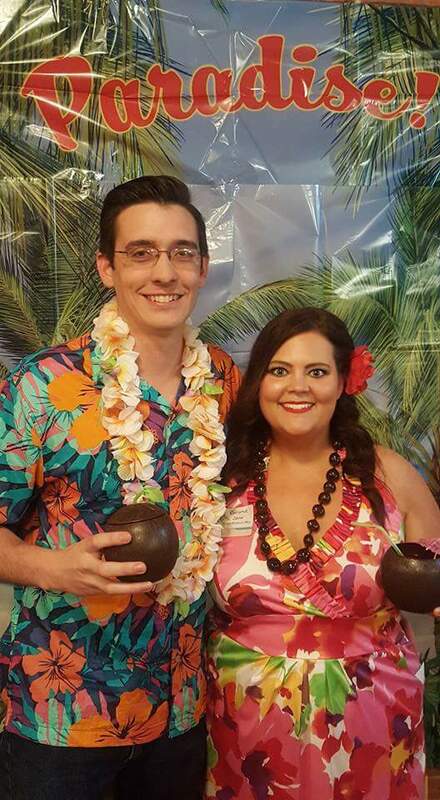 This was the 4th Murder Mystery Party that my ladies group has thrown as a fundraiser for a local charity, and it didn't disappoint! 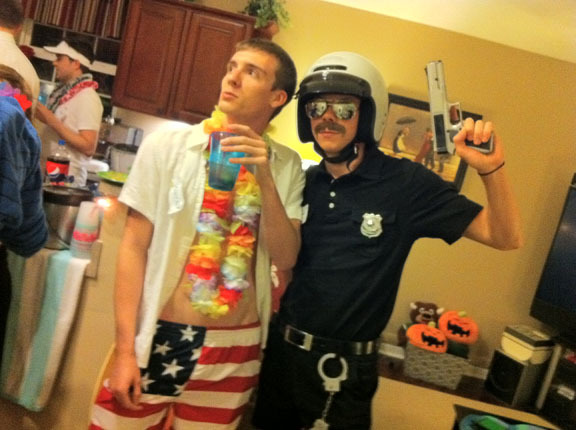 We had people vying for parts on the suspect list and others trying to outdo when it came to decorations and costumes. It was such a success, we are definitely in for another next year! 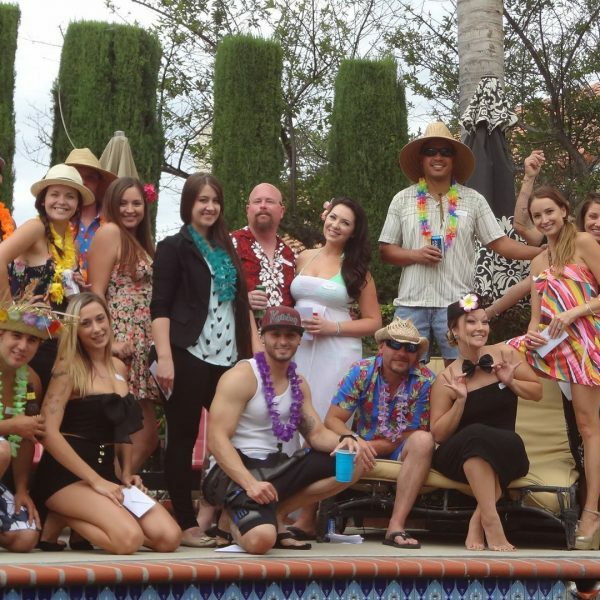 We just hosted Murder in Margaritaland over Labor Day Weekend for a group of 19. Our victim had to play a double roll and become Sgt Lord but it was great. 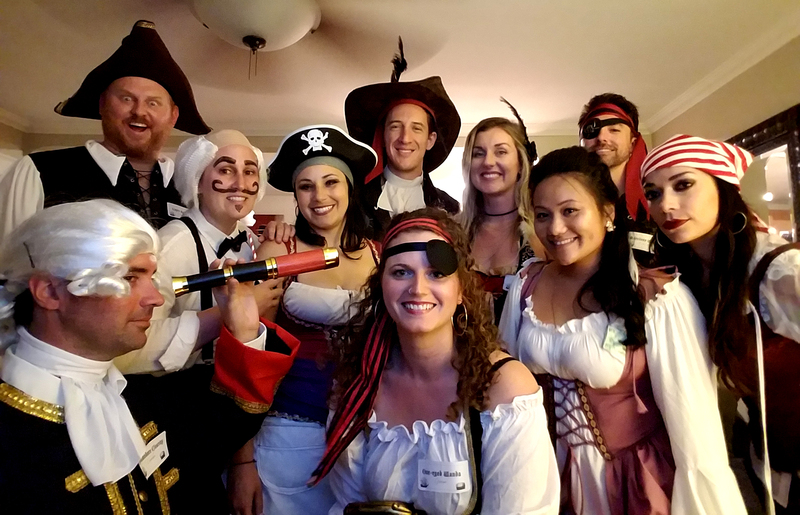 This was our first murder mystery; I was concerned if folks would get into it but I was pleasantly surprised as folks came ready to play! Then, after posting pictures on Facebook, we've had so many people ask where we got the idea and asked to be involved in the next one! 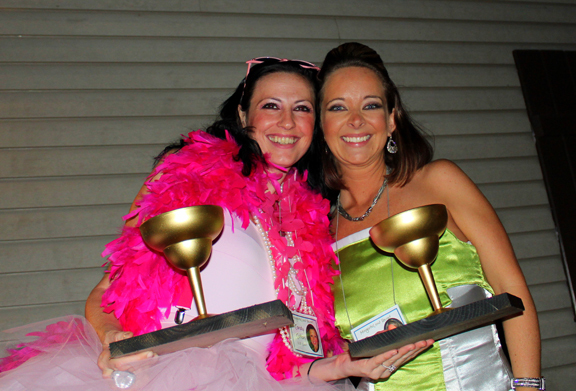 Night of Mystery gave us all the information we needed to put the party together!!! We are looking forward to our next party; oh but which one shall we do???? My husband have a birthday in the same month and this year we wanted to have a dinner party with our family, but we didn't want to have the same type of get together that we always have. We wanted to do something different. 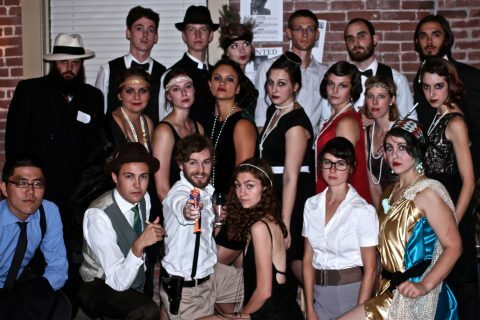 A night of mystery was the perfect way to celebrate. 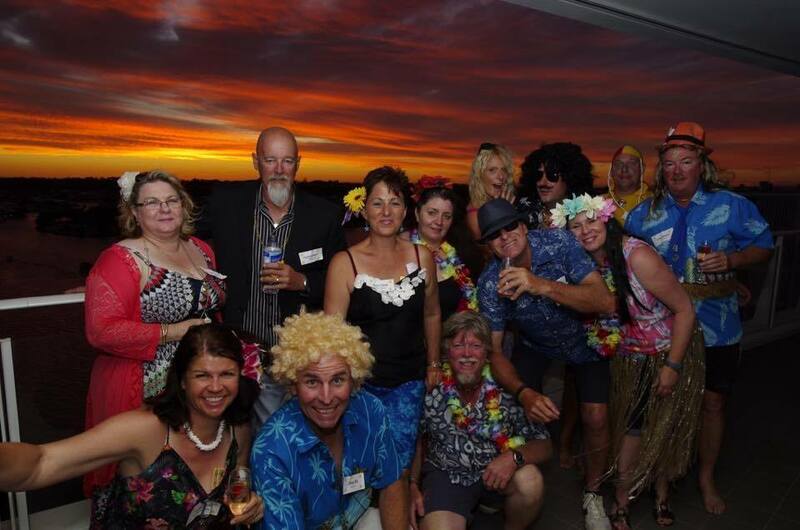 This was the first time that we have ever hosted a mystery dinner party and I'm so glad we did it. 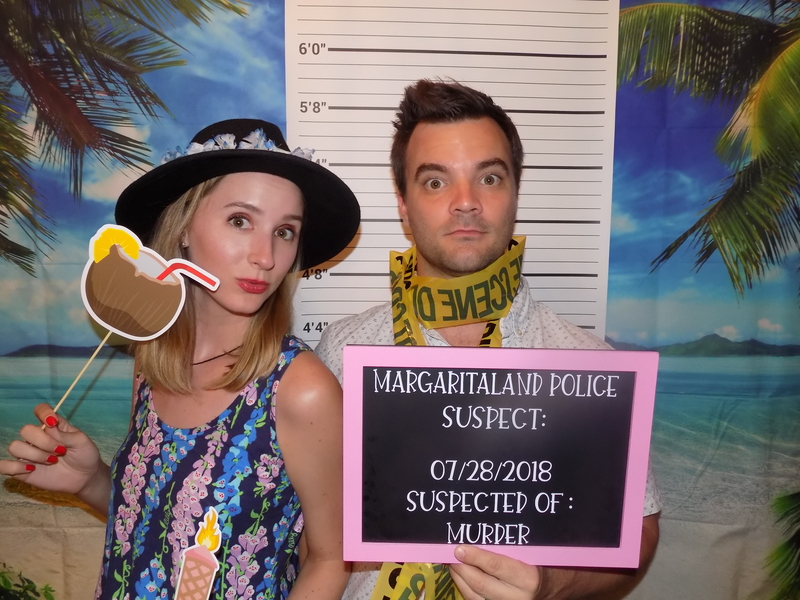 We just had our Murder in Margaritaland party last night! So much fun and already planning our next one!! These parties are so much fun! I ordered it for my boyfriends birthday party, and everyone's character fit them perfect! They had so much fun acting out the parts and playing the roles. Luck Numberswon best dress but it was close between Star Brightand Lifesaving Sam.We decorated the house with tiki men, palm trees, and flowers. We turned out stove into a bar. Everyone dressed up and played there parts and everyone wants to do it again! I can't wait! 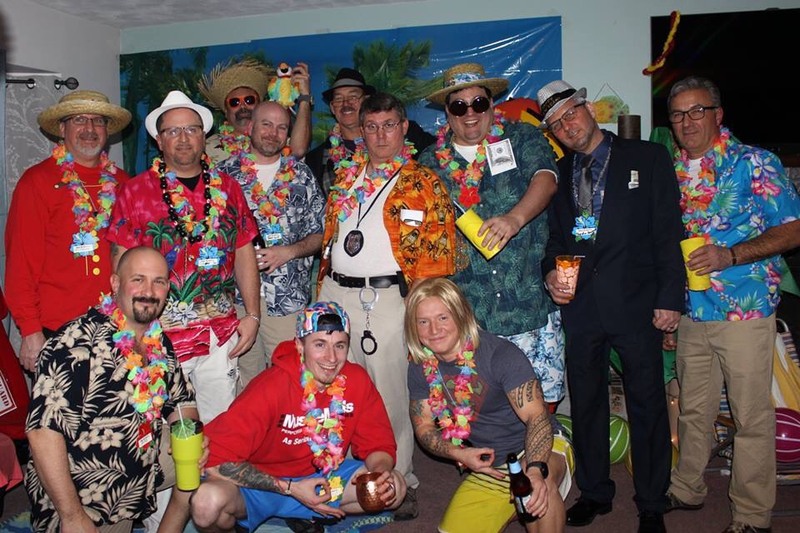 The first party was such a hit, as we were planning this year's trip I was asked to put it on again, so we did- this time Murder in Margaritaland. 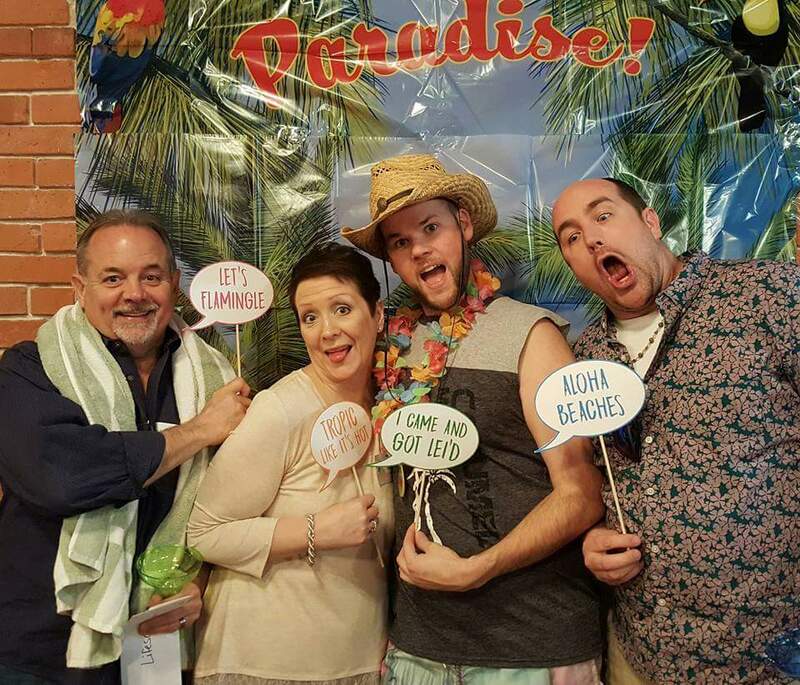 Of course the theme of the party fit perfectly with cancun- and we all had just as good of a time as we did the first time. The highlight of this year: The victim did such a good job acting out his death that the resort security actually started to respond to him, thinking he was actually choking and dying. Of course we quickly let them know it was an act, and they thought it was hilarious. Keep up the good work, and keep the parties coming. As long as we continue to vacation as a group you can be sure I'm bringing you along!